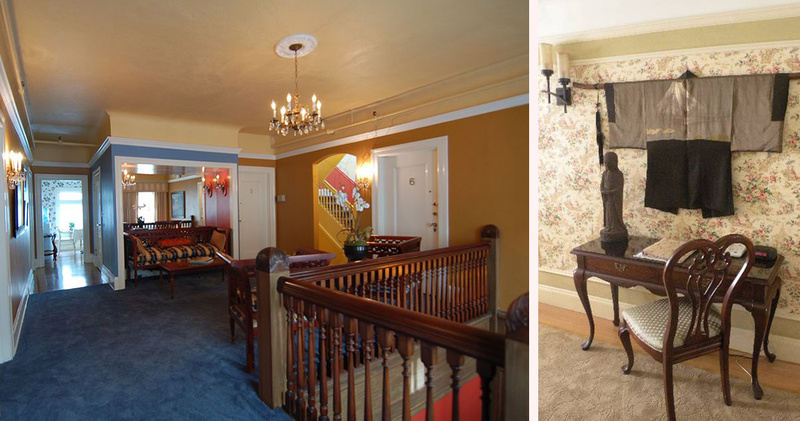 Housed in a beautiful brownstone building dating back to 1900, Jackson Court Hotel is the epitome of elegance and serenity. 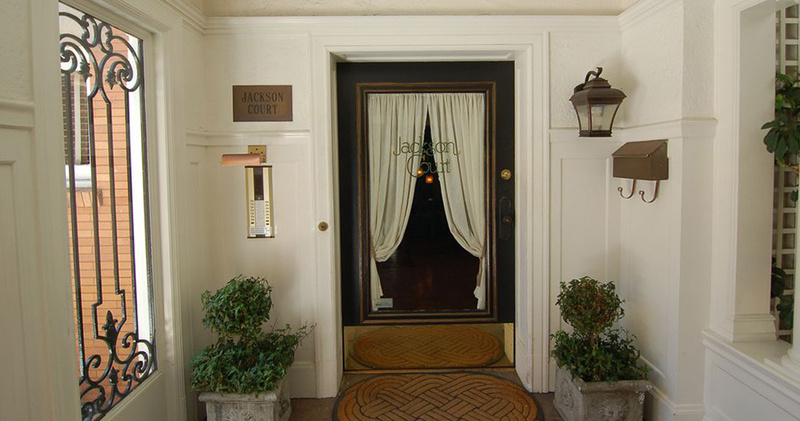 Located in Pacific Heights, Jackson Court Hotel is close to the boutique shops and restaurants of Fillmore and Union Streets. 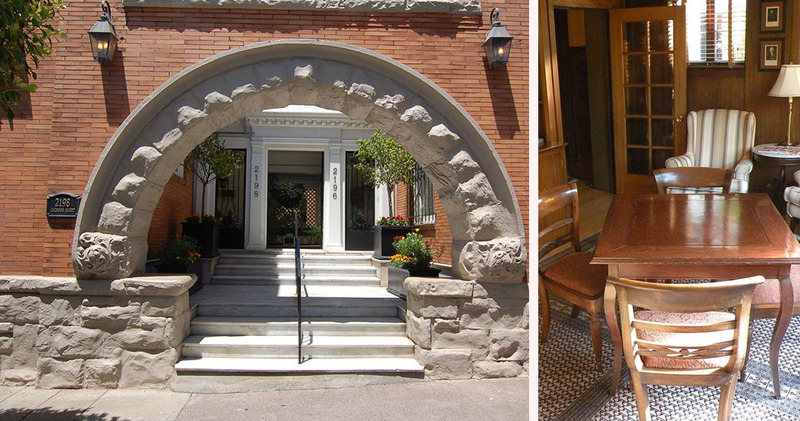 This handsome brownstone mansion is warm and welcoming, with an arched entrance and picturesque courtyard. 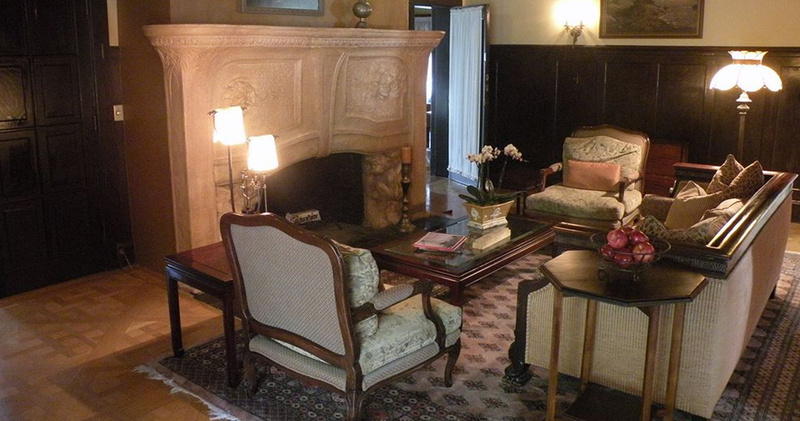 The hotel’s classic decor features wooden finishes, fascinating antiques and cozy fireplaces. The game salon is an inviting room with wooden paneling and comfortable armchairs, where guests can read a book or play games. The breakfast room in the Jackson Court Hotel features traditional décor, with floral wallpaper and neutral furnishings. Each afternoon, the Jackson Hotel hosts a traditional tea service where guests can enjoy fresh cookies and socialize. 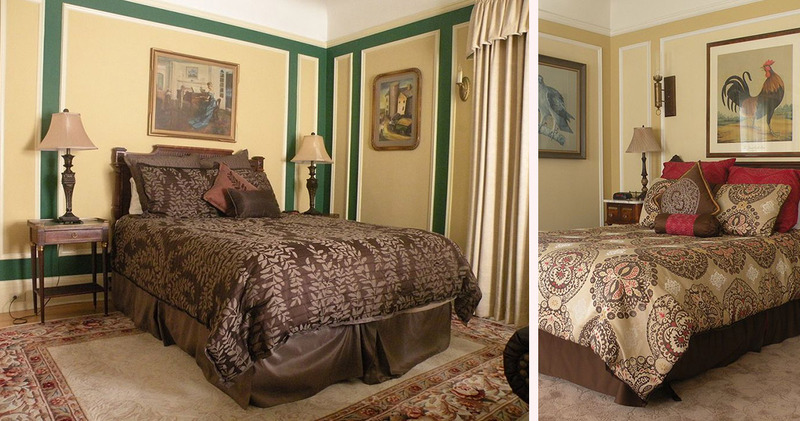 Jackson Court Hotel has two suites and eight guestrooms, each with a unique theme. 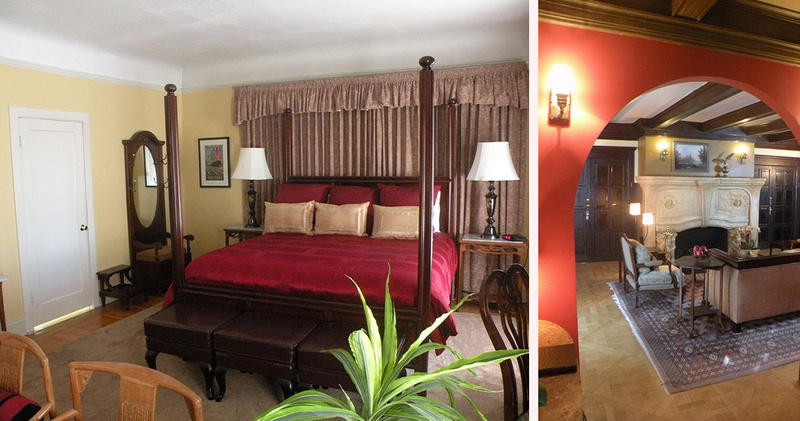 Each guestroom features a combination of contemporary and antique furnishings. The rooms are spacious, bright and airy, with a designated seating area. 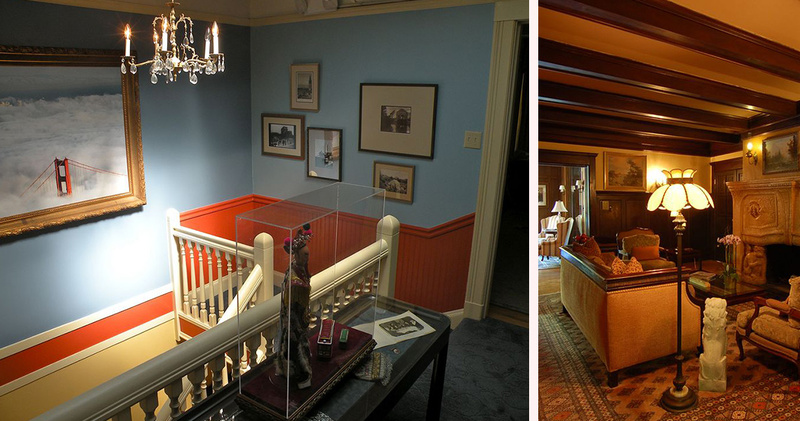 Several rooms at the Jackson Hotel also enjoy elegant touches such as wood burning or marble fireplaces, handcrafted paneling, antique chandeliers, private patios and Victorian dressers. 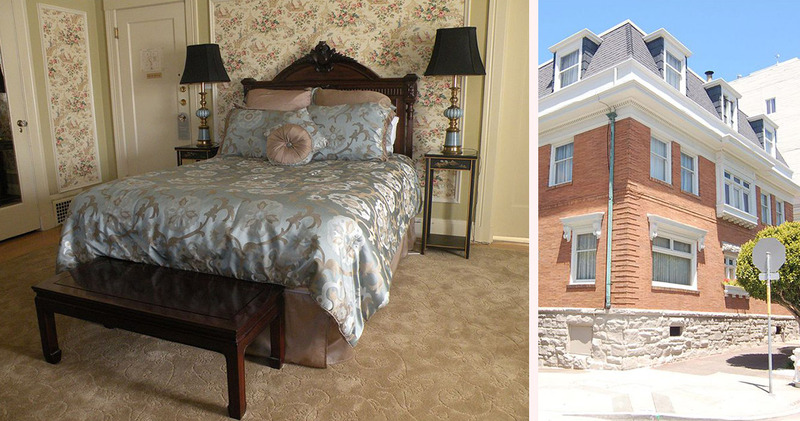 The rooms offer views of Buchanan and Jackson Streets, and the bathrooms offer plenty of storage space. 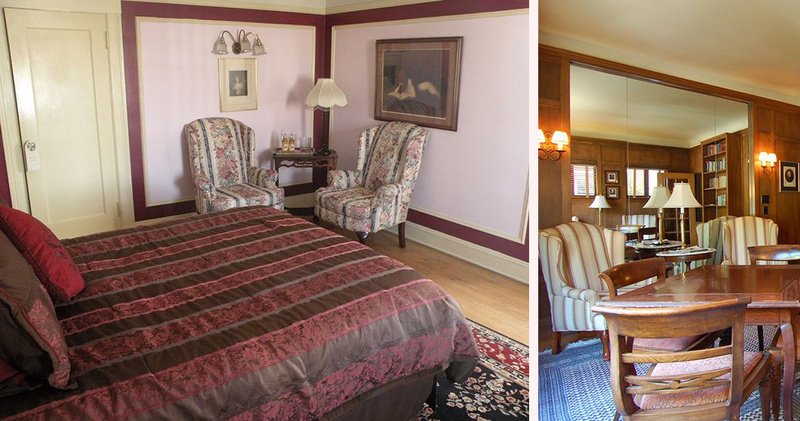 The Burgundy Room features an oriental rug and touches of soft pinks and maroon. The Corner Room offers Asian flair with oriental furnishings. Jackson Court serves complimentary continental breakfast along with cookies and tea in the afternoon. The Pacific Heights neighborhood also offers spectacular options like Atelier Crenn that takes diners on a culinary adventure. Out the Door and Jackson Fillmore are good choices for relaxed dining.